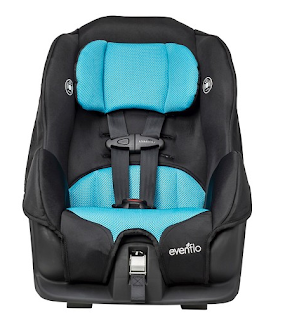 Target has the Evenflo Tribute LX Convertible Car Seat on sale for $49.99 (regularly $64.99). Designed to be compact in size and lightweight, the Evenflo Tribute LX is perfect for caregivers switching between multiple vehicles or for a second vehicle car seat. Includes soft fabric, extra cushioning, harness covers and buckle covers for your child's comfort during long rides.